Brand new custom home in the heart of NoDa. Features include an oversized wrap around front porch, covered rear porch with ceiling fans, 2 car garage, 10ft ceilings, gourmet chefs kitchen with large island & marble countertops, first floor bedroom & first floor guest bedroom with barn door, master bedroom custom walk-in closet, sprawling master bathroom with oversized shower & soaking tub, laundry room with built in cabinets & quartz countertops. 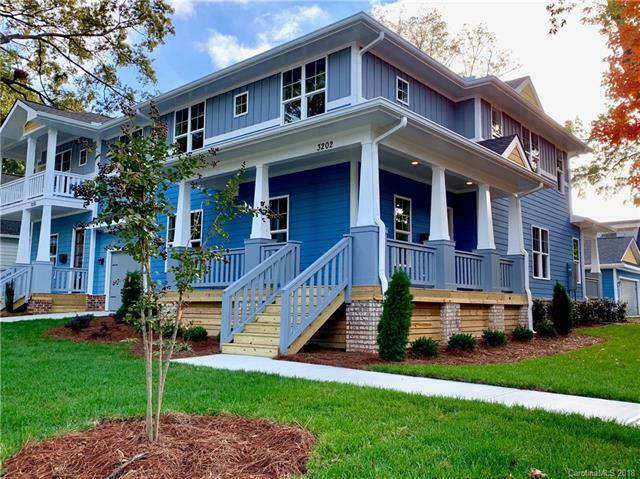 The best in urban living with a neighborhood feel - 4 blocks to Cabo Fish Taco,, Haberdish, Boudreaux's, Neighborhood Theatre. Convenient to the new Blue Line light rail extension stop at 36th St Station.